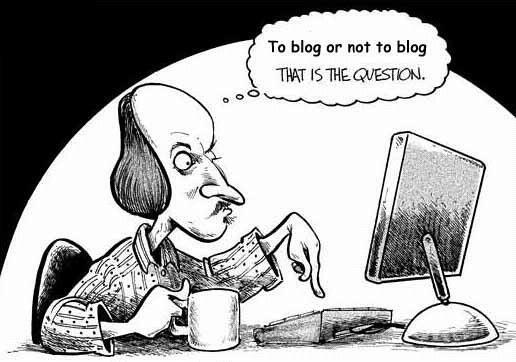 According to the definition above, if you Facebook, MySpace, or tweet, you’re a blogger (well, in technical terms: a microblogger). Bet most of you didn’t know that. If you’ve read any recent FB posts, you realize that some people don’t need to blog. I mean really, does the world want to know that you”just ate pork chops and homemade applesauce”? Or that “baby girl just peed in the potty”? Sure we are all guilty of posting a random status that borders on boring or teeters on the trivial, but I concede there are people who are always “post-worthy.” These are the status updates or blog posts that make the reader feel, make them laugh, cry, or wrinkle their brow in thought. Today, I want to share three of my favorite post-worthy blogs and why I read visit their blogging world almost every day. 2. The Pioneer Woman If you haven’t heard of Ree Drummond, you’ve been living under your stack of cassette tapes and VHS players. Ree is a self-taught photographer, real-food chef extraordinaire, cattle rancher’s wife, and homeschooling mom. She recently released her 2nd cookbook entitled The Pioneer Woman Cooks: Food from My Frontier. The blog is a topical potpourri ranging from ranch life to popular entertainment trends. Whenever I want to cook something delicious, I consult her cooking page. In fact, one night I cooked this and my family swore they’d “never eaten anything in their whole entire lives that was so amazing!” Yeah, that’s was an actual quote from dinner that night. 3. A Holy Experience If you know anything about me, you know that I love a perfect word combination. It’s power can change a person’s life. Ann Voskamp, author of One Thousand Gifts: A Dare to Live Fully Right Where You Are, is an artist when it comes to painting with words. Her writing is a powerful mix of poetry and prose. She creates visual images that burn in the mind with both beauty and profoundness. Her blog is much of the same. I read each one with a pen in hand, just to write down the perfect combination of words that she inevitably pens. Each post never fails to challenge me spiritually: to walk deeper with God, grow stronger in my faith, and be bolder in living it out daily. She is a humble spirit who never fails to credit God with her literary talent and insight. This entry was posted in Uncategorized on May 1, 2012 by aliciachall28.